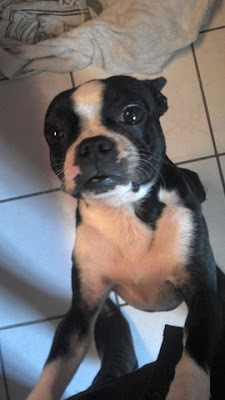 My sweet little Mia was adopted yesterday by one of our members, April, and her husband. Mia didn't even make it to petfinder! They came to meet her and decided she had to be a part of their family, she has joined an older brother. Mia came to me a nervous girl. Her owner told me she hates the car, has been scared since she was a puppy. After 2 wks she was running down to the car and to the door to go in! My Yogi helped her, she really took to him. She was such a pleasure to have and we miss her, but I know she has a great home! April is with several rescues and works at an animal shelter. This was my first "local" adoption so they were able to come pick her up and she walked right out with them! April said she is doing good and they love her! I attached a pic she sent. Congratulations to Leslie, her foster mother, April, her forever mom, and most of all Mia for her new home. or caged in shelters nobody takes home. make room for another in your home and in your heart. 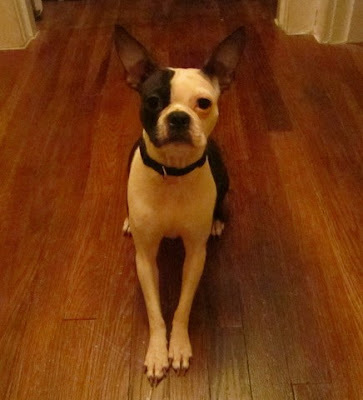 Toxic Plants and Mulch: Spring bulb plants pushing out of the ground often attract dogs. It's not that dogs just want to ruin the landscaping. Squirrels and rodents are also attracted to spring bulbs and an inquisitive dog might be hot on the trail. But beware. Many spring bulbs fall into the allium family, and onions (allium) are toxic to dogs. Furthermore, cocoa mulch, often used as bedding mulch for park side flower beds, is very attractive to, but highly toxic to dogs. Keep your dog out of the flower beds and nobody will get hurt. In General: Be aware of what you plant outdoors and in your house: many toxic plants are out there. Lists for toxic plants can usually be obtained from your vet, online sources, and general pet care books. Fertilizers and sprays may also be toxic so be careful what you apply to your lawn and plants, better safe than sorry. Deborah Dolan reports on her boy Papi: Papi (left) was found in an abandoned building in Brooklyn, NY. He was fostered by Mary Liberty, and after her home was destroyed in the storms last year, by Robin Leone. 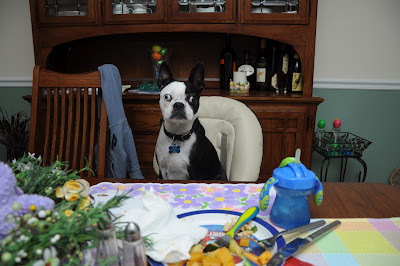 We adopted him in October 2011. 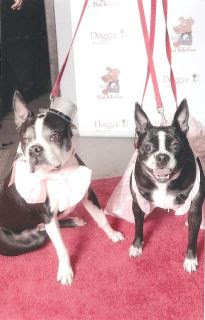 He and Tara attended a Black Tie for Paws Fundraiser for two local shelters. Check his face - he has the male "when can I get out of these duds" look, while Tara is thrilled to wear her dress. Well, as Bill says to Papi "This is better than Brooklyn, isn't it?" What a great ending, Papi now helping save other dogs! Doesn't this picture make you laugh? 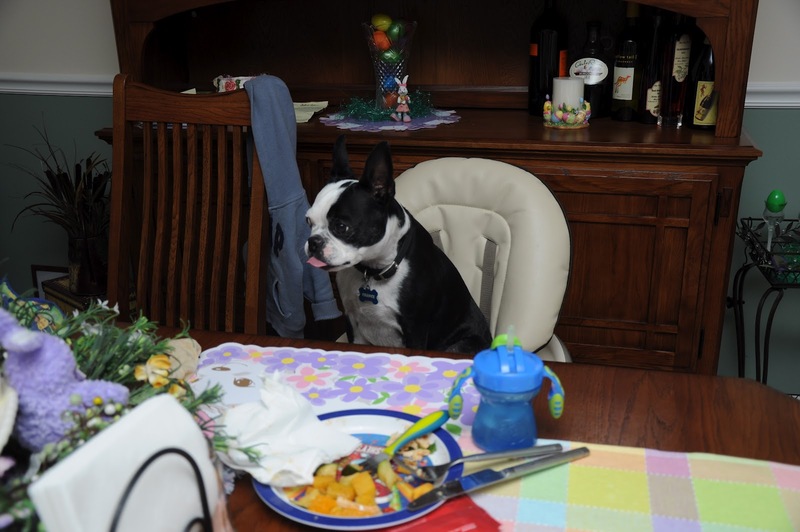 Chance, in his forever home with Emily Tiemann's family, is patiently waiting to be served dinner, sitting in his brother's high chair. 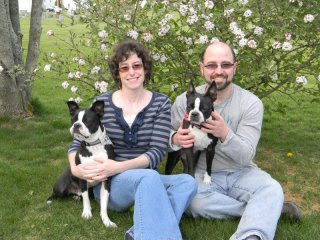 The Yorty family with Maxy, a former foster on the left, in this family photo. So happy to have a forever family of his own! 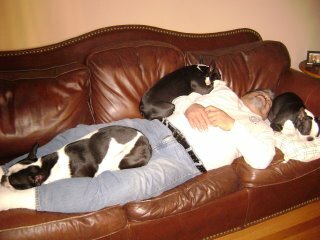 George Vazquez comments on his BT family photo: "Thank God my rescues are Bostons and not "GREAT DANES" LOL KENNEDY, LUCY, AND CASSIE who I adopted from NEBTR." The NY Legislature is considering a bill that would mandate shelters to co-operate with recognized rescue organization by releasing animals to them if pets are scheduled for euthanasia; also mandates clean livable shelters, socialization, toys, proper care and feeding, etc. Let your legislators know about this and, if you live in another state, see if it might be useful to introduce. If it is passed, it will be the toughest in the U.S. for shelters. search engine on the Assembly home page, but the bill number is required. In the Albany NY Capital Region proper animal care and cruelty are major issues due to the efforts of rescue organization, news media (especially the local ABC affiliate's weather man Steve Caparizzo's personal long time involvement in animal rescue and adoption), and animal welfare advocacy by a popular local Assemblyman Jim Tedisco. Lately there appears to be a big push and unusual cooperation between the political parties to get animal protection legislation passed. your State. It is believed this may be the toughest pet theft bill in the U.S.
from all over the US, as well as columns, care, blogs, rescue links, etc. All of our rescue dogs are fostered and evaluated for a 2 week minimum to allow us to assess their personality and provide them with basic foundation skills - House/Crate training, basic manners - to ease their transition into new homes. It is our belief such work in foster care better prepares dogs for success and helps forms lasting bonds. Sometimes our dogs do stay with us longer before we consider them ready for a new home, usually because they may have health issues that need to be evaluated and corrected or they require more socialization and training due to their history. Ultimately, this makes it easier for both the dog and the forever family to have a happy life together.